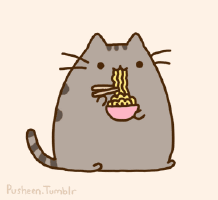 Kawaii Cat: Noodles. . Wallpaper and background images in the misceláneo club tagged: photo. A misceláneo lista of things I hate. stupid preguntas to ask someone? frases about backstabbing and ex-friends.